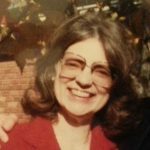 Janet A. Lippi, 85, of Champaign died at 5:50 p.m. Sunday, January 27, 2019 at Illini Heritage Nursing Home, Champaign. Visitation will be held from 10:00 a.m. – 11:00 a.m. Saturday at Morgan Memorial Home, Savoy. Private graveside services will be held at Woodlawn Cemetery, Urbana. Janet was born on December 24, 1933, in Danville, the daughter of Jesse and June Underwood Archer. She married Dr. Frank Lippi on January 24, 1976, in St. Joseph; he died April 17, 2003. Survivors include three step-daughters: Barbara McDonough of Northbrook, Linda Lippi of Mahomet, Sharon Lippi of Peoria; one granddaughter: Beth Saad and two great grandchildren: Leila and Henry Saad all of Westfield, New Jersey; one sister: Gertrude Smith of St. Joseph; three nieces: Susan Archer Newby, Memphis, Tennessee, Jackie Revis of Inman, South Carolina, Janet Welch of Woodstock, Georgia and two nephews: Bradley Archer of Dyersburg, Tennessee and Greg Smith of St. Joseph. She was preceded in death by her parents and one brother; Dix Archer. Janet graduated St. Joseph High School before graduating from the University of Iowa. She worked as a dental hygienist. Janet was a member of University Place Christian Church, Champaign and the Pi Beta Phi Sorority. We wish to express our gratitude to Janet for her presence in our father’s life. Janet generously provided comfort, companionship and most importantly great joy. Memorial contributions may be made to University Place Christian Church or the Alzheimer’s Association.